A light heavyweight affair between Vladimir Matyushenko (Pictured) and Alexander Gustafsson has been added to the Octagon’s New Year’s weekend extravaganza. UFC 141 takes place December 30th inside the MGM Grand Garden Arena in Las Vegas, Nevada. The 205-pounders were originally slated to meet last month at UFC 133 in Philadelphia, but a late injury forced Matyushenko out. Instead, Gustafsson retired Matt Hamill with a devastating 2ndRound TKO victory. Prior to beating “The Hammer,” Gustafsson posted back-to-back rear-naked choke submission victories over Cyrille Diabate and James Te-Huna, respectively. The 24-year-old holds an impressive 12-1 professional mark. Matyushenko owns an underrated 26–5 record and has won five of his last six contests. His lone blemish during that run was to Jon Jones. 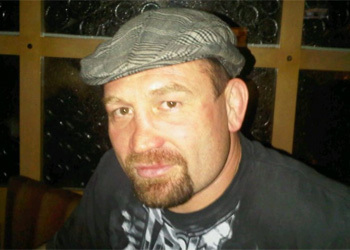 “The Janitor” was last seen putting Jason Brilz to sleep at UFC 129 in April.